Please consider this important campaign to help plan and zone our communities to keep horses accessible to everyone. As our communities become more urbanized, we increase the distance between people, animals and land. As horse people, we know the importance of our connection to them, the land and what it does to the inside of us. We also know the wonder in the eyes of our guests when we share our horses with them. Tomorrow, a boarding stable will close its doors and be converted to residences. 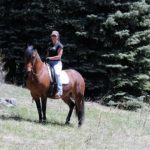 Next week, a competition venue or horse trail will exclude horseback riding. Next month, hay fields will become a shopping center. Horses are disappearing from our cities and suburbs. Access to horses and the opportunity to ride is being lost from the everyday lives of millions of people, especially children in cities & suburbs. Imagine a generation that will not have the ability to pet, ride or see a real horse. The possibility is becoming more real every day. That’s why it really does “take a village” to effectively plan for horses in our local communities. With your help, ELCR can help ensure the future of horses in your city or town through the development of a Planning for Horses in Your Community Toolkit. 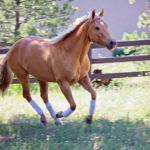 The stark reality is that horses and stables are being crowded out of most cities and suburbs in the U.S. by population growth and poorly planned development. All it takes is some organizing and planning. At ELCR we can help you get organized and develop a plan to keep horses in your community. ELCR is the only award winning, national not-for-profit organization that exists solely to help ensure a future for horses and hose-related activities in our communities. Celebrating its 15th year in operation in 2014 — the Year of the Horse, ELCR has helped thousands of horsemen and women protect access to horses by saving horse farms, boarding stables, competition venues, riding programs, and trails. We are ready to help you and your community, too. Specifically, our project involves developing a Planning and Zoning Toolkit for horsepeople and others concerned with the loss of horse lands. 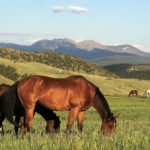 It will provide users with the tools they need to understand comprehensive planning, land use mapping, zoning ordinances, and the effects these have on horse keeping and other horse-related activities. Armed with the knowledge and right tools and resources people can be mobilized to protect their local equine places and spaces. We need your help to produce the Planning and Zoning Toolkit. We estimate that the project will cost $5,000. Your support will help us develop the toolkit and distribute it to horsemen and women around the nation that need help conserving the lands they love. Kentucky Performance Products has generously pledged to match the first $1,000 raised in our campaign, so please help us meet this initial goal! You can also help us by sharing this appeal and the link to our campaign with your horse club and horse loving friends so that we may keep horses in every community. To find out more about how you can support the cause, visitwww.ELCR.org. All gifts made to ELCR are tax deductible as allowed by law. Thank you for your support and for helping assure a future for horses in every city and town.